Rooney's ball and van Persie's volley. An absolute beast who's good on the ball and calm as well. Only needs to add composure to his game, without letting go of the aggression, and RCB is sorted for the next many years! Solid defender that's composed on the ball, fast and strong, but I hope he spends the summer learning how to time his jumping. I thought he was very composed on the ball, he's rash in the tackle though, will come with experience, excited to see him and lindelof together. A good deal of aerial improvement, and more sagacious temperament away from hitting black-Koscielny status. Look forward to seeing him improve. Glad we're not losing him for a month this season. It took a long time to get back up to speed after returning last season. Also hoping he and Lindelof can really strike up a solid partnership. I'm tired of our CB's being mixed and matched every game. VorZakone What would Kenny G do? How about Rojo - Bailly? Rojo did well last season and managed to rebuild his reputation, but I'm crossing my fingers that Lindelof is a level above. I want a WC CB partnership. I don't think Rojo will ever reach those kinds of heights. This was an amazing signing and I believe he'll be one of the first names on the team sheet for the next 8 years. He's a beast. Hmm.. average by his standard today. Still trying to win headers with his feet. Needs someone strong in the air alongside him in the PL in my opinion. Ya, that stood out last night, had his foot up near opposition players heads once or twice, one could easily have resulted in a boot to the head and a penalty. You can see he's still very raw every now and then despite the talent. He's obviously a good player, but it's telling that nobody puts blame on him for the first goal, which he absolutely was at fault for as well. To be fair, quite a few people have pointed that out in the Lindelof thread (in reply to people blaming Lindelof). Much better performance today. 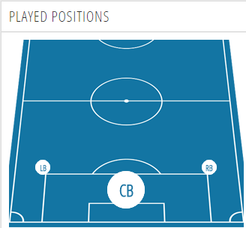 Made some good tackles and positioning was consistently spot on. I've a feeling he struggles to get fired up for these kinds of games. He always seems lethargic when we play lower level opposition. Yeh that's worrying although it's true of most of the other players too. Absolutely fantastic today. Never looked uneasy. He had one moment early on where he dwelled on the ball too long and lost the ball. That was his only error all half. Great tackling and positioning against some great players. He and Jones both looked very good and could end up being the cb pairing we go with to start the season. I love how he's got the pace to recover well if he is out of position or to challenge the opposition forwards for the speculative balls. He's quick, he's physical, he's not terrible on the ball, and he seems to be pretty composed. Amazing really how he was plucked out of near obscurity. Huge shame that we're not saying the same about Lindelof at the moment. I suggest we should pray for his health this season, because he and tony v are the only bright spots in our defence.Absolute beast, if you ask me he is already wolrd class defender.Let's hope Lindelof finds his feet and they form Rio-Vida partnership.Jones is playing quite well I must admit, I don't know if it's bailly effect or he's playing good, for now I think their partneship(with Bailly) is the best. Already sacrificed a baby for Lukaku's everlasting health. Bailly should be fine with so many subs that could come for him. Apart from players you mentioned there's even Blind who at times seems to give bit more as CB than on the left. @MarkOgden_: One game already served with Europa League final. Super Cup should be another game. This is so stupid. Usually the the Control and Disciplinary Body decides to take action and maybe add additional ban few days after the incident and sure before the player's next European match. silly fight between players, 3 match ban.... Bailly. Break opponent's leg into two pieces, man of the match... Hector Moreno. What was the late kick off one again? Made 2 big errors 2nd half. Lucky to get away. Apart from that some of his agressice defending was excellent. The total opposite to the passive defending we saw in the first half. Incredibly lucky to avoid conceding after his errors. Right approach but needs to cut out the mistakes. Just needs to channel his aggression. You can't win every ball. His anticipation will improve over time, so he won't have to be so eager to win every ball. One of the few bright spots yesterday, made a mistake, but overall shouldn't detract from a really good performance. our best defender. I have no issue with his 3 match ban, and don't see some UEFA agenda that has been implied by some. He basically punched someone, and got a 3 match ban for violent conduct. Standard tariff. Jose was talking nonsense about it being 'punishment enough' not to play the final. That has nothing to do with it. What if Guidetti scored and knocked us out with the last kick? Does Bally's offence become more serious? It's annoying, but those are the consequences for his actions. You don't get a one-match ban for violent conduct. To be fair it was valencia who punched the celta Vigo's player. But the whole point is , it becomes lame to carry on your red card from the previous season. New season, new beginning should be the way. Over the last few seasons we have had Smalling and Fellaini suspended for the start of the season, I saw no protest. Joey Barton got an 8(?) game ban for his foolishness on the final day of the season for QPR. Proposing they get away with it because the season ends is ridiculous. Yellow cards, yes. But once they have been sent off, they must pay the price, and if there are no games left that season, it continues. The line of the season ending has nothing to do with it. If you commit a 3 game worthy offence, you get banned for the next 3 games, simple. 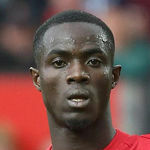 It's an opinion and it is not an opinion solely because it Eric Bailly who is involved. Whether it is smalling or fellaini, makes little sense to carry a punishment to a new season. As for Barton, well he did more than just committing a cynical foul, he was kicking and fighting and causing disruption to the game. Just like Suarez when he bit a player or drogba swearing and abusing uefa. He didn't punch him, he pushed him and the guy fell over holding his face. That is completely different. People push each other in matches all the time, why isn't there red cards for that? The punishment doesn't fit the crime. If you think he didn't deserve a red, that's another matter altogether. Him deserving a one match ban for violent conduct is odd to me that's all, it carries a 3 match tariff. All players know this. I do think we'd be playing better if he was on the pitch. One of our only defenders who's good on the ball and can keep us composed at the back. Blind's another but he's not had the best of pre-seasons. I'm probably very much in the minority but I think Bailly gets overrated on here. I'd be starting him (with Smalling) for West Ham, but if Rojo was fit I would have him #1 with Smalling/Bailly fighting for the other spot - with Smalling just ahead at the moment.